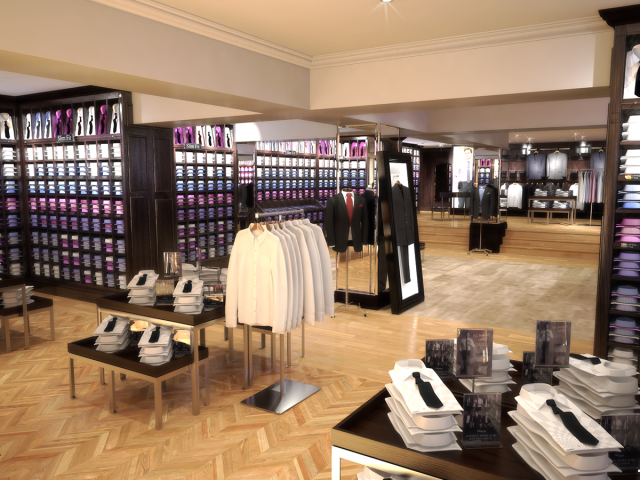 …TM Lewin – Jermyn Street, London. 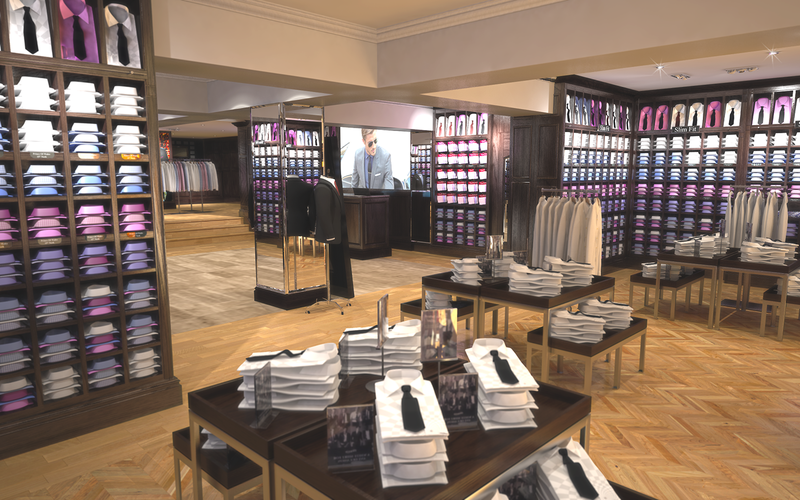 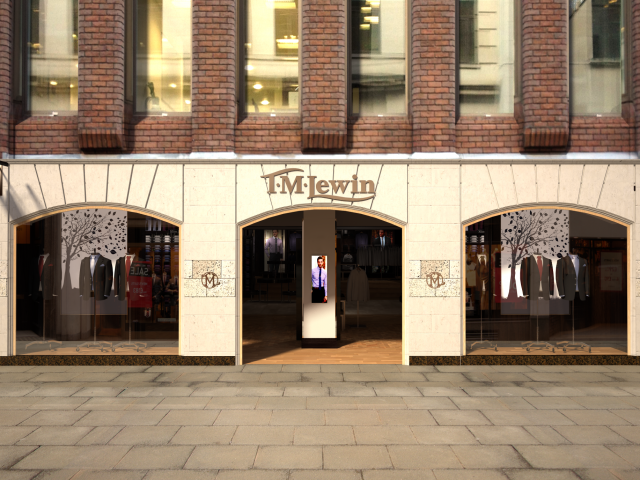 The last of three TM Lewin flagship stores opened to trade this week on Jermyn Street in London’s West End. 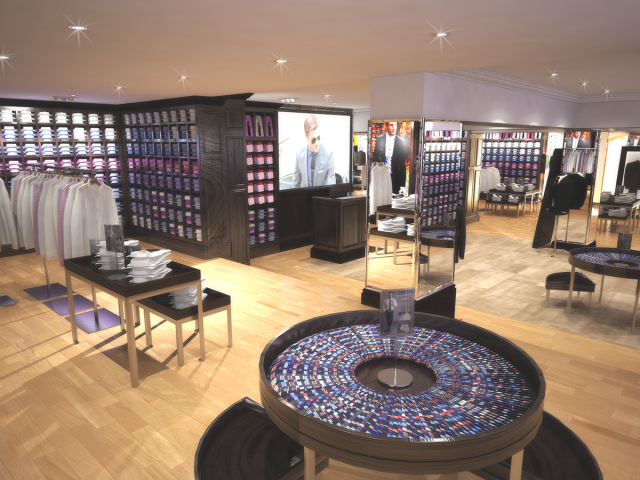 The new concept Ladieswear and Mens Tailoring shops opened to trade in August 2013, and the mens shirt boutique is the final store to open on this prestigious street. 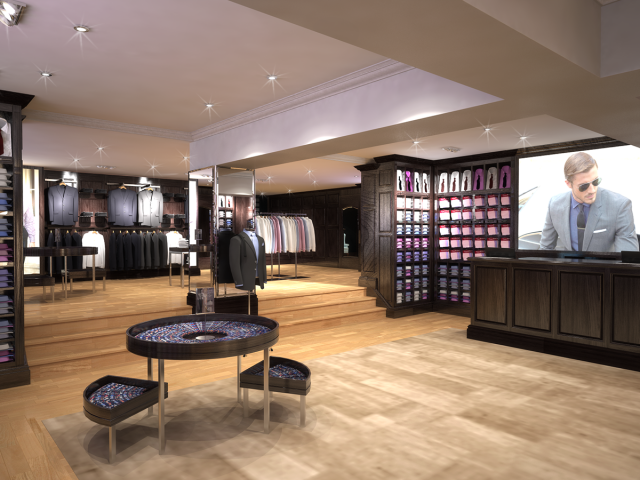 I have been lucky enough to be involved in the design development and implementation of all three sites, working directly with the in-house team (as well as producing visuals for all three sites). 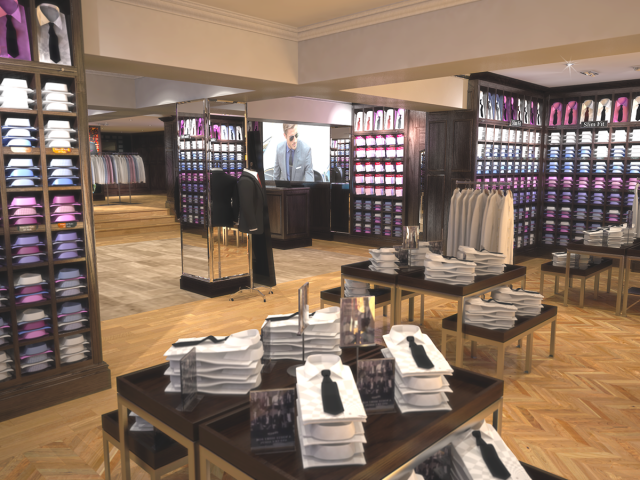 As ever, I will be sending in a photographer to take photograph all three of the stores – in the meantime though, here are some of the visuals I’ve produced of the shops.